Labral repair is a surgical procedure used to correct damage to the cartilage of the shoulder. Labral tears are a common sports injury and can occur with shoulder dislocations and in overhead athletes. Like the meniscus in the knee, the labrum in the shoulder does not heal well on its own and surgical intervention is often required to return your shoulder to normal. The most reliable test to determine if you have a labral tear is an MRI Arthrogram. This is a special type of MRI where a dye is injected into the shoulder joint. This dye is picked up by the MRI and if there is a labral tear, the dye will leak out of the shoulder joint. A regular MRI may miss a labral tear and so if your doctor is concerned about a labral tear, he should order an MRI Arthrogram. Labral surgery begins with a diagnostic arthroscopy. This allows your surgeon to be able to look inside your shoulder and find out exactly what is wrong. Even with an MRI Arthrogram, the exact extent of the injury is not known until they get inside your shoulder. Using a small camera and small tools your surgeon will be able to probe the labrum and find the areas that are torn. 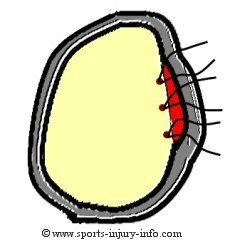 Once they find your labral tear, they will debride the tissue, removing any damage and trimming it down to healthy tissue. Next, they will place small anchors into the glenoid (shoulder socket) bone. These anchors will have sutures attached to them and are what will re-attach the labrum to the bone. 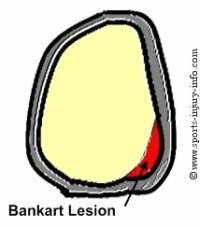 Most labral repairs require 2-3 anchors, depending on the location and size of the tear. 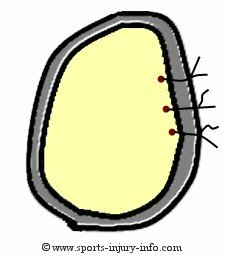 After the anchors are placed, the sutures are run through the labrum and then pulled tight to re-attach the tissue to the bone. The sutures are tied off and the repair is complete. Your surgeon will probe the labrum to make sure that is is firmly reattached to the bone and then they will close your incisions with sutures or staples. Many labral surgeries are performed arthroscopically, however some physicians will choose to perform this procedure using an open technique. There are some benefits and drawbacks to arthroscopic and open procedures. Rehabilitation after a labral repair can begin soon after surgery. I usually see patients within the first 2-3 days after surgery to check their incisions, help reduce their pain, and to start range of motion exercises. There are some restrictions that should be observed in order to allow the labrum to heal and to protect the repair. You will be placed in a sling for the first 2-4 weeks after surgery. This time frame will vary greatly depending on your surgeons preferences. Using a sling keeps the shoulder safe and prevents unwanted stress on the repair. Range of motion should also be restricted after surgery. During the first 2 weeks, it is important to limit your motion in order to allow the repair to heal. Many physicians will restrict motion to shoulder level or lower. Pain is a good guide. 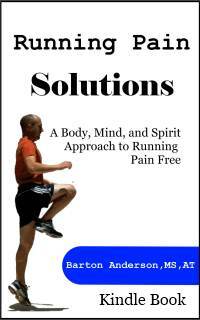 Range of motion exercises should not be painful. After the first 2-3 weeks, you can start progressing your range of motion, and begin light strengthening exercises. Supervised rehabilitation is important after labral repair in order to fully recover. A full recovery after labral repair usually takes 3-5 months to return to full activities. For overhead throwers, this time frame may be longer. Labral repair surgery is an effective treatment for labral tears. This procedure can be performed arthroscopically or as an open procedure. Utilizing anchors and sutures, your surgeon can re-attach the labrum to the glenoid and restore normal shoulder anatomy. Rehabilitation after surgery is essential for a full recovery. You should be back to full activities in 3-5 months depending on your activity levels.